Welcome to the Creston Valley, gateway to the Kootenay's. Each year, more people are discovering our warm climate, the wide, fertile expanse of the valley, crystal clear rivers and lakes, and mountain scenery. Our agricultural heritage provides the valley with fabulous fresh food, energizing you to explore the wealth of cultural, social and outdoor recreational opportunities. 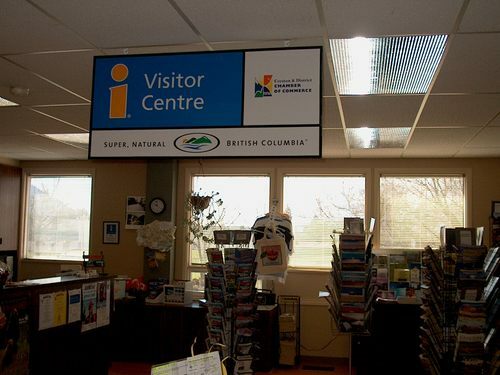 Our friendly and knowledgeable staff at the Creston Valley Chamber of Commerce and Visitor Information Centre, 121 Northwest Blvd, (right across from ABC Restaurant, plenty of parking) will be happy to help you discover the beauty and wonder of the Creston area. Call Creston home as you relax under our blue skies, enjoy our hospitality and experience the Kootenay's.